A glamorous 1940s eternity style crystal necklace for women who adore the romance of rose gold jewellery. Our stunning Rose Gold Starlet Necklace takes inspiration from vintage designs from the fabulous 1940s Silver Screen era. An eternity style featuring sparkling clear Austrian crystals encased by a myriad of petite crystals set on a beautiful rose gold tone, this timeless piece sits perfectly on the collarbone. If you want to embrace the glamorous style of the movie star icons, team our Rose Gold Starlet Necklace with our coordinating earrings and a figure hugging gown and your Starlet grace will be unleashed. 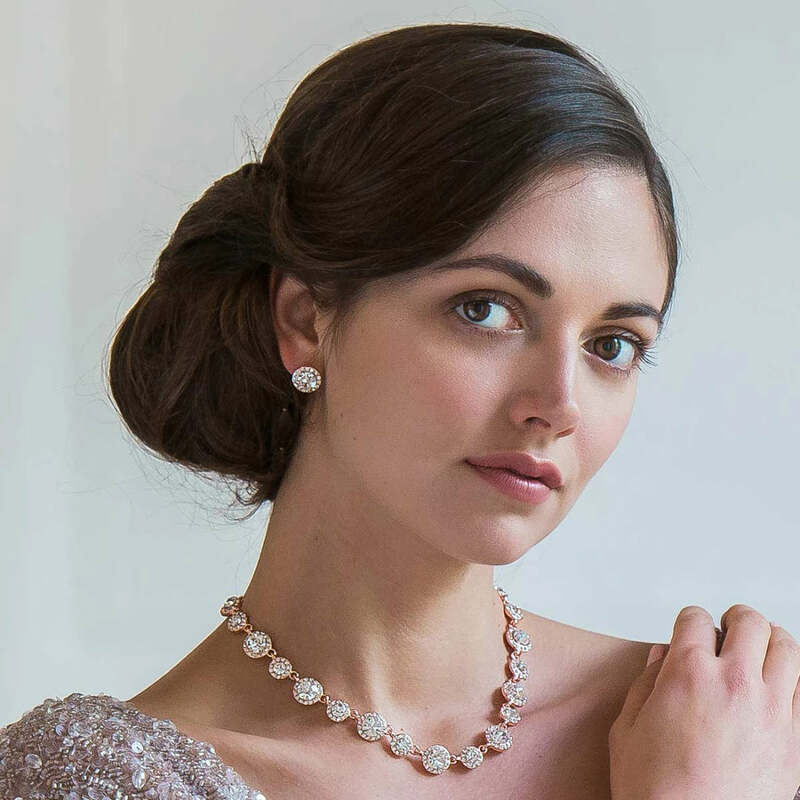 A stunning wedding necklace with a touch of contemporary rose gold charm, Rose Gold Starlet will dress up a vintage inspired gown to perfection and will have your guests gasping as you glide down the aisle.